Avengers Vs X-Men has officially started, which means the comic fanboys of the internet are no longer fervently arguing about who they think will win in each of the fights, instead they are now fervently arguing about how the actual outcomes are wrong. It’s a good time to be an argumentative comic fan. Here I will give my take on the fights, and compare the results to the predictions I made a few months ago. If you don’t want to know the results of the fights DON’T scroll down. For those that don’t know, the Ultimate imprint is Marvel’s attempt to redo their standard continuity (referred to as the 616 universe), most of which was set in place in the 60s, with a more up to date, modern, take on it’s heroes. When I first heard about the Ultimate universe I didn’t like it. Captain America was too angry, Iron Man was too willfully alcoholic and Galactus was too swarmy, and so for a while I had turned my back on the it for the standard continuity. It may not have been perfect, but it was what I was used to. Then, in 2008, along came Ultimatum. It was a story arch that tied together all of the comics under the Utimates brand, and generated quite a lot of talk from fans and critics. Almost all of that talk was negative. Throughout the course of Ultimatum over 30 major characters were, unnecessarily most would agree, killed off. Some in ways that seemed to have only been put in for the gore factor Dr Strange being strangled and squeezed to death by his own robes, and Wasp being eaten by the Blob are two cases that spring to mind. If the point of Ultimatum was to increase attention through bad publicity then it worked for me, I read it and followed it with great interest. And since then I’ve been becoming more and more interested in the Ultimates universe , specifically in the ways it differs from the usual 616 continuity. 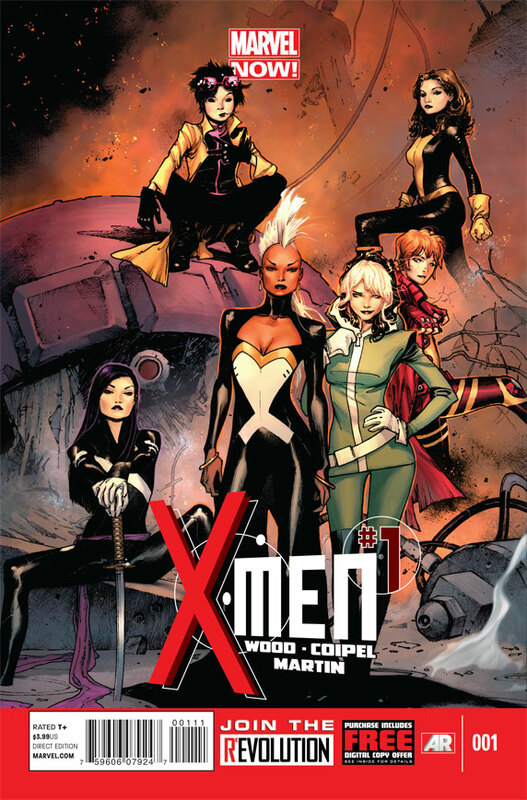 Marvel’s next big even is Avengers Vs X-Men and deals with the Return of the Phonix Force to Earth. In preparation for this even Marvel have released a series of covers depicting various members of the Avengers and X-Men facing off against each other. A comic book geek like myself loves nothing more than discussing a “who would win” scenario and so I’m going to give my take on the fight depicted on these covers. One of the things I have learned from my time reading comics is that covers sometimes take liberties and depict events that are nowhere to be found in the comic itself. There is a very good chance that most of these battles may not happen (I think it’s already been mentioned that the Thing will be fighting Namor not Colossus) but that’s not going to stop me commenting on how I think these battles would go. Update: Reviews of most of the fights throughout the course of the event can be fond here. On first glance this looks like an easy one to call. Man in an iron suit vs a man who can control iron. The problem is the man in the iron suit is known for having a suit for all occasions (such as the Hulkbuster armour), and for inventing very advanced and far fetched tech. 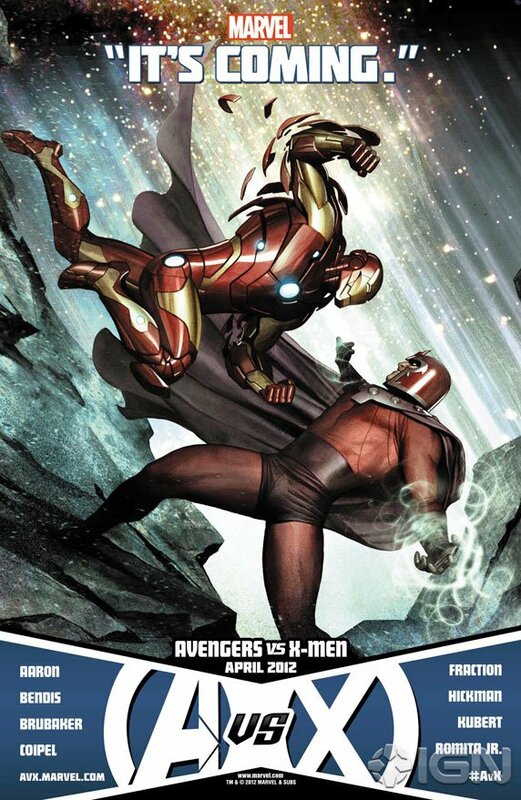 In a recent meeting of the two Stark took the precaution of wearing rubber amour, and in the past has shown the ability to negated the field generated by Magneto. I think the Iron Man armour also has a good enough defence mechanism to protect Stark against any big car shaped projectiles Magneto can throw at him so I’m going to give this one to Iron Man.